ArtOrg’s first collaborative printing project is called “The First Edition” and used a 100-year-old lithography printing press. The concept was simple: give old litho stones to our Tuesday night figure drawing workshop, and pull an edition of prints from each artist’s work. The artists in most cases drew directly onto the heavy stones during our live figure drawing workshop. 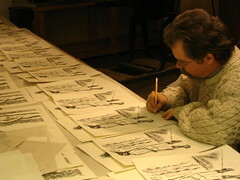 Several artists also drew on so-called transfer paper and then their work was transferred to a stone in the printmaking studio. Mary GrandPre for example, did her drawing in her Florida studio from a photograph of the model. 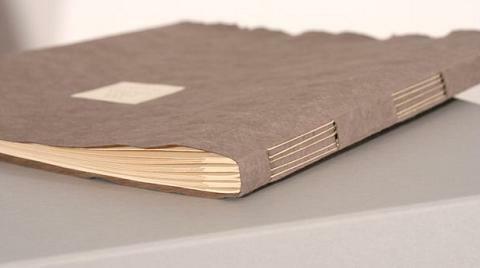 We bound the edition into a handmade book with the help of Scott King. 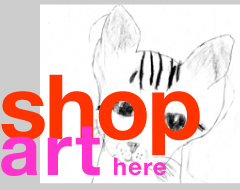 This limited edition book contains 11″ by 13″ stone lithography prints from 13 different artists. Scott added a hand-printed title page to the edition suite from the old iron handpress that may have belonged to the Northfield News years ago. 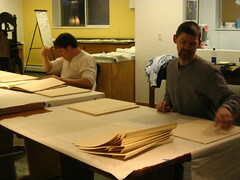 We demonstrated stone lithography at the opening of the associated gallery exhibit of the work on March 4 of 2005. Suite of thirteen stone lithographs in an archival handmade book and box.